Markward spoke first during the evening and discussed his background. Markward is currently on City Council representing the third ward; he is in his fourth year as Councilman. Markward spent over 30 years in public schools as a teacher and an administrator. He also spent 20 years on the Van Wert City School Board and seven years on the Vantage Board of Education. Markward said his background affects how he approaches things and that he has more of an analytical personality. He said he is open to many different viewpoints that can come together to improve ideas. “I try to maintain the attitude that, if you think you’ve got all the answers, then maybe you haven’t asked all the questions yet,” said Markward. 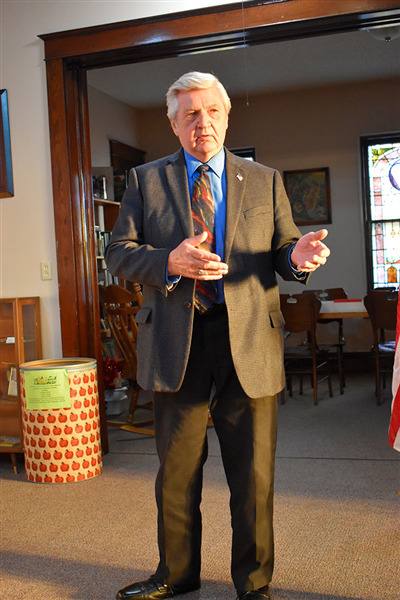 If elected mayor, Markward said he would like to concentrate on fixing ordinances. Markward also said he would be looking toward the 2020 Federal Census, which only happens every 10 years. Markward said he wants to make Van Wert a place people are proud to live in by increasing the positive tone surrounding the city. 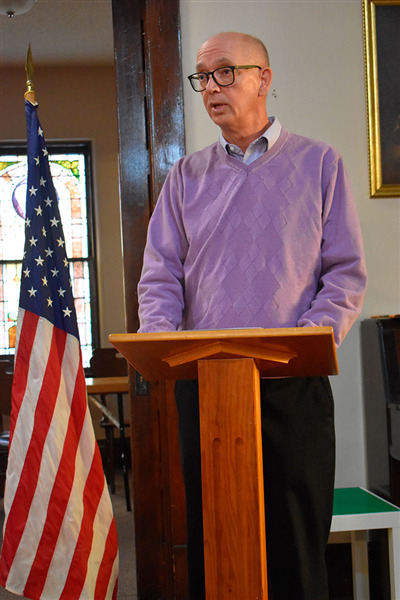 During his portion of meet the candidates night, Mazur spoke about economic development and the projects he has been involved with since he became mayor in 2016. Mazur said when he first started, Jobs Ohio would not come to Van Wert because the Economic Development organization was two separate entities – one for the city and one for the county. Since helping to combine Economic Development into both a city and county organization, the relationship with Jobs Ohio has been mended. Mazur said that certain items that would typically come out of the general fund come out of the .22 tax that was put in place for capital improvements for the police and fire department. He hopes that when the time comes that Van Wert sees more economic development, that the city can support all of the services just out of the general fund. Mazur spoke about the Revolving Loan Fund that, when used, improves businesses and generates interest, and he also spoke about the Land Bank, which has helped tear down blighted properties. If reelected, Mazur said he would like to continue to concentrate on economic development and would also like to focus on code enforcement. Mazur said that he would like to get a full-time code enforcer in the next few years to take care of those issues. Markward and Mazur also answered questions regarding charter cities, the building permit ordinance, the drug issue, which Mazur noted the Van Wert Police and Van Wert Sheriff’s Office are constantly working hard on, as well as topics such as jobs, railroads, and housing. Early voting has already started. The May primary/special election will be held on May 7; both Markward and Mazur will be on the ballot for the Republican candidate for Van Wert City Mayor. I hope you win Ken!! Van Wert needs new blood in office!!!!! This comment has been hidden due to low approval.